Time and time again I kept seeing crafty moms posting the salt and watercolor projects they were making with their children. Tallulah and I decided to see what all the fuss was about. I'm sure glad we did. 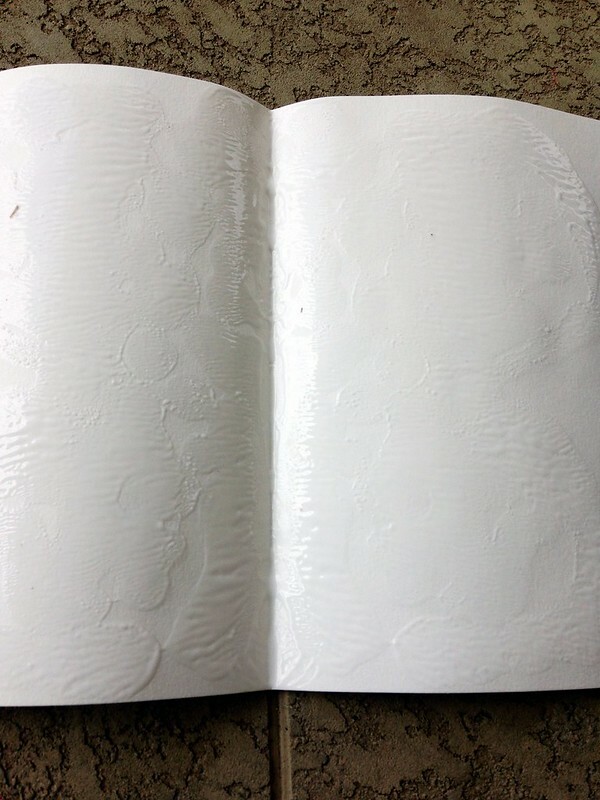 First fold your paper in half. 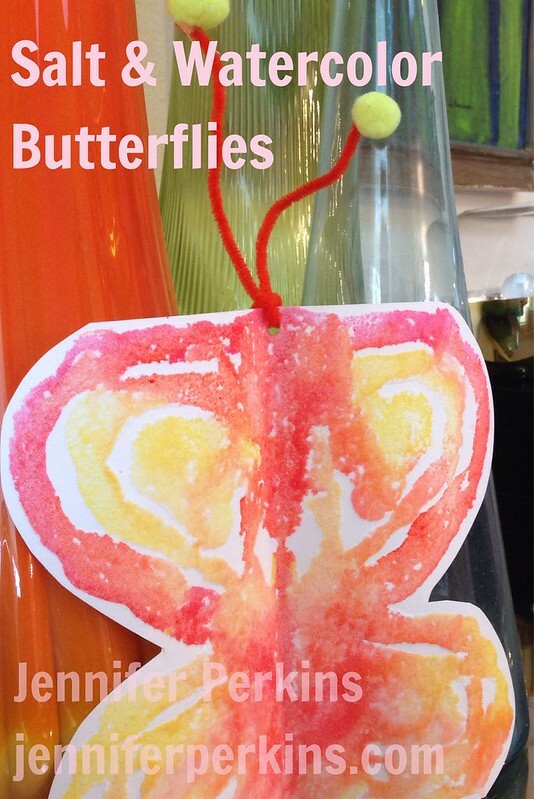 The butterflies will be made making a monoprint of a glue pattern. 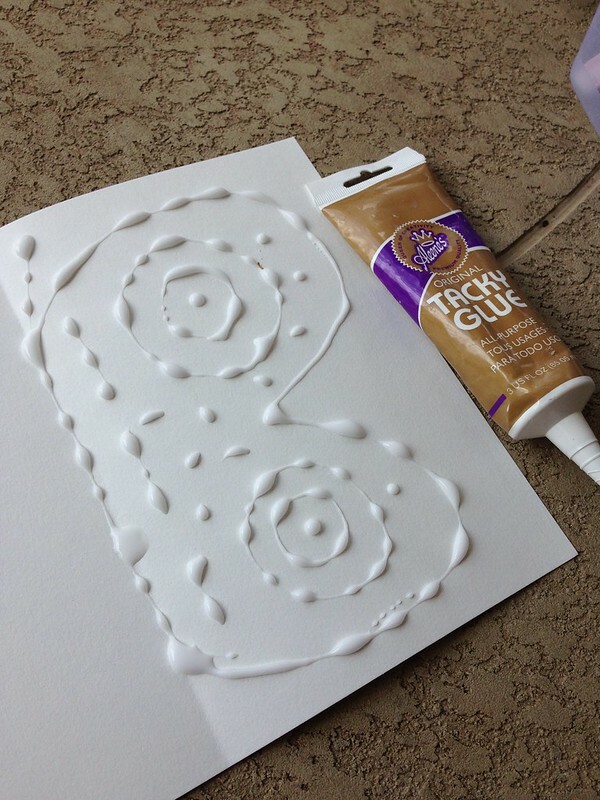 Apply your Tacky Glue on one side of your paper in a butterfly like pattern. Fold your paper back in half at the fold. 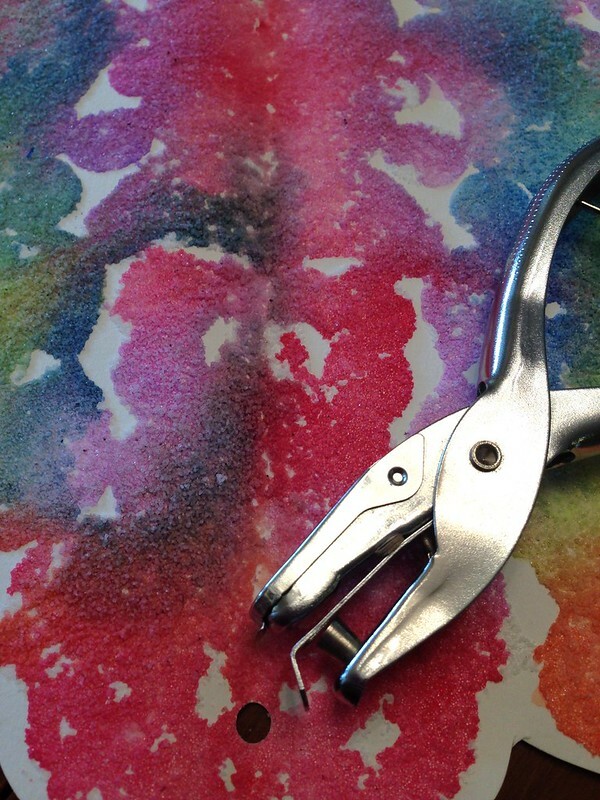 This will make your Tacky Glue monoprint. Coat the pattern with salt shaking off the excess. 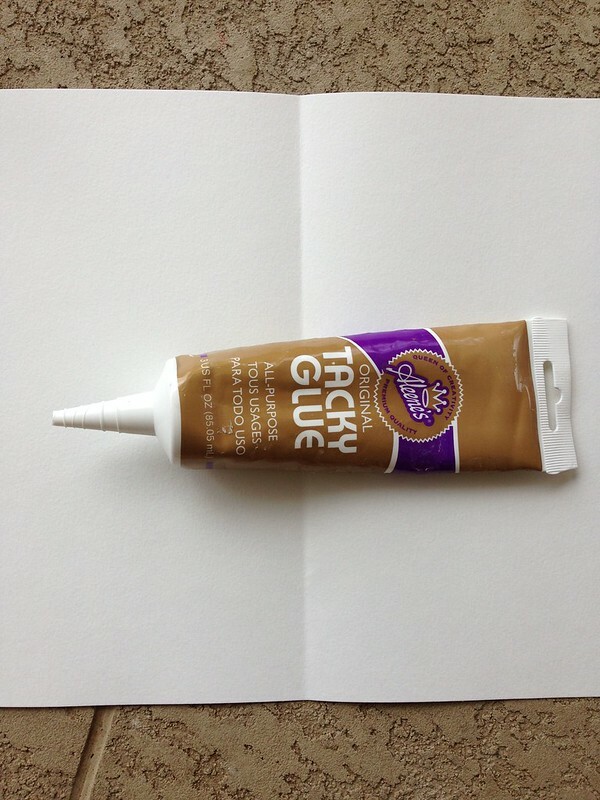 Once your glue has dried you can start painting the salt with watercolor. 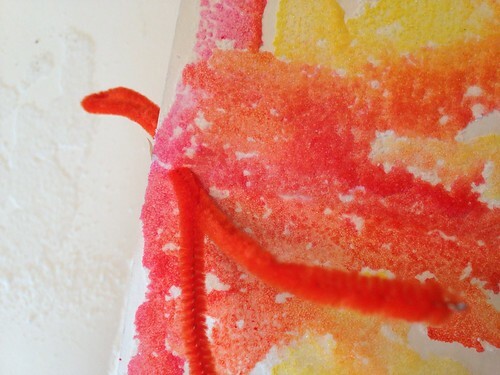 Adults and kids will enjoy painting the salt with watercolor. 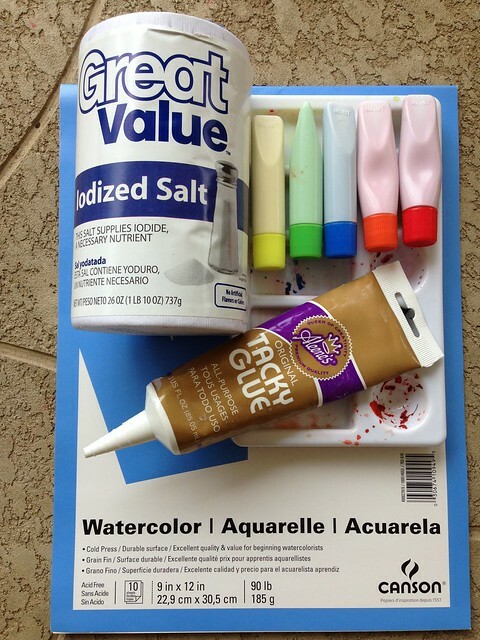 What type of paint, salt, how much water you add will give different effects. 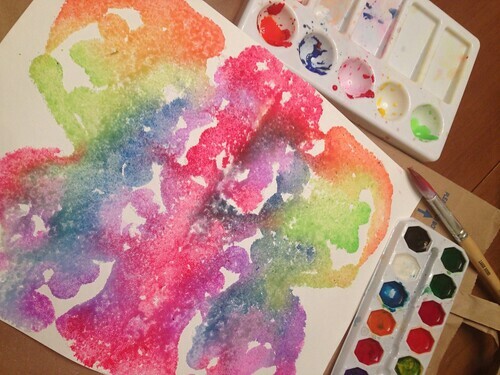 Allow your watercolor to dry completely. 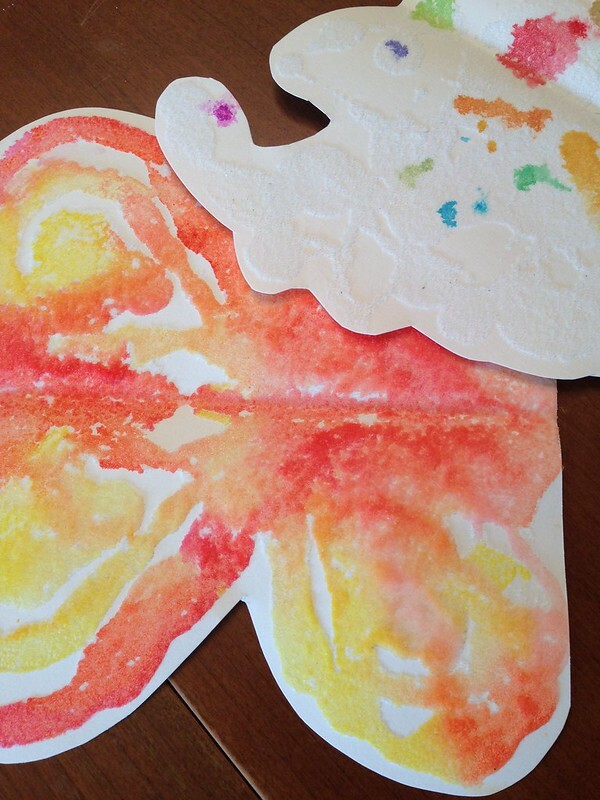 Afterward cut out a "butterfly" pattern from your watercolor paper. 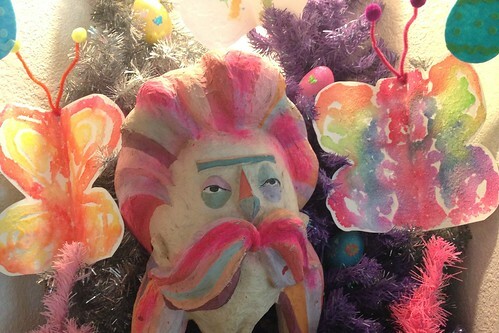 Punch a hole in your butterfly near the top center. Run your pipe cleaner through the hole to make antenna. 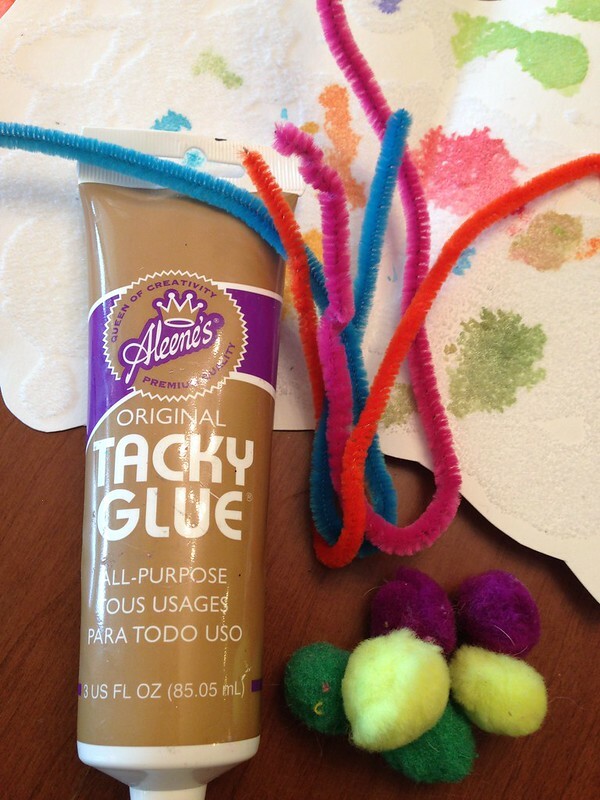 Using Tacky Glue add pompoms to the tips of your butterfly's antenna. 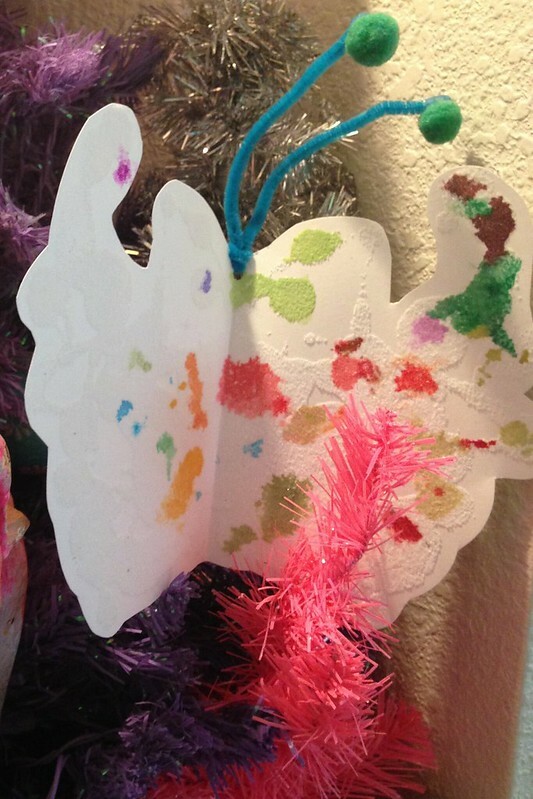 Once your glue has dried you can display your butterflies. The heavy watercolor paper helps them hold their shape. Smaller versions could have clothespins glued to the back to be clipped around the house. I love the way our butterflies turned out. 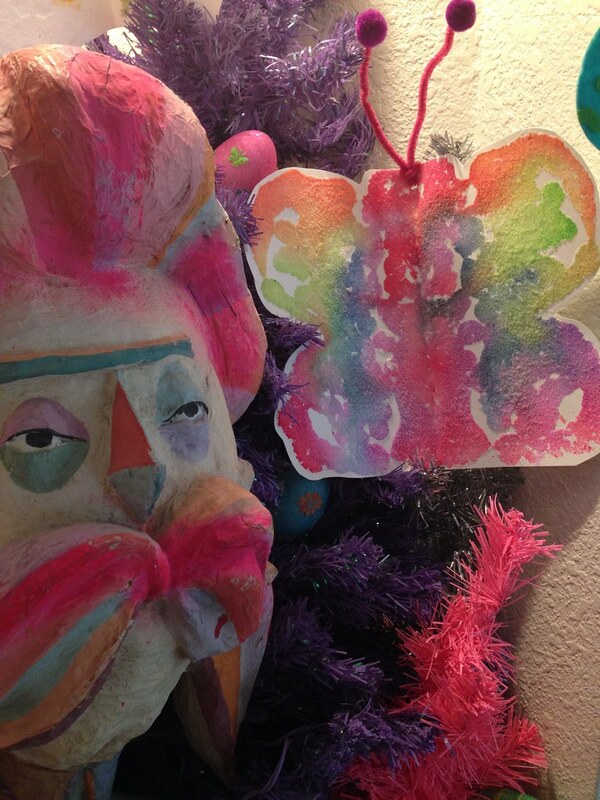 The salt makes the colors sparkle and the butterflies look like they have been flocked. Now I'm thinking of what else I can cover in Tacky Glue, salt and watercolor. 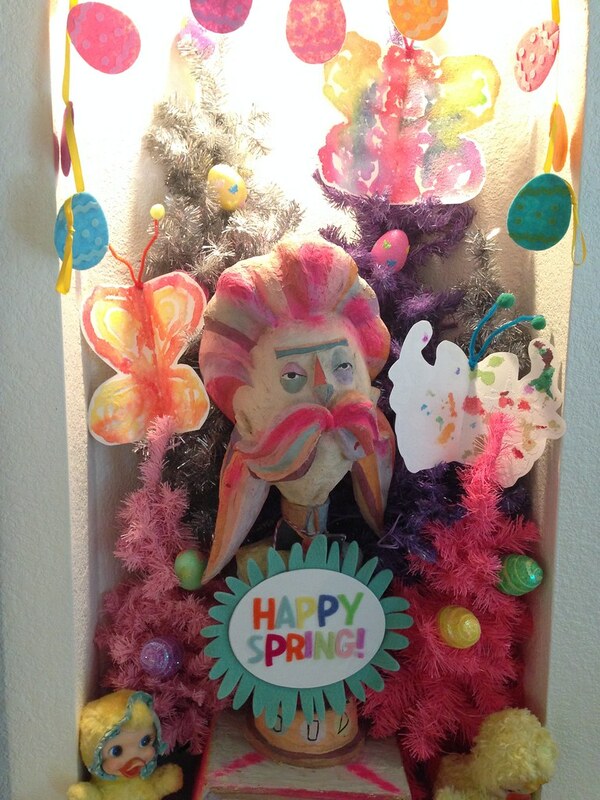 What a fun and easy project. My daughter will be very excited about this.